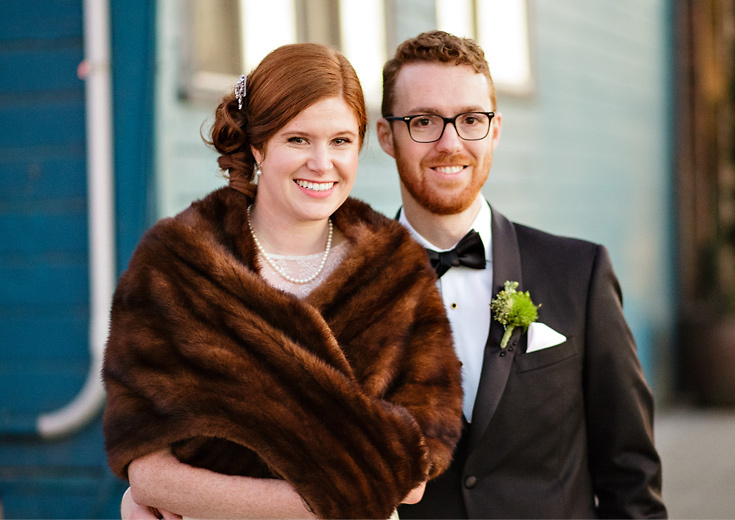 Many of my clients have bicoastal ties. 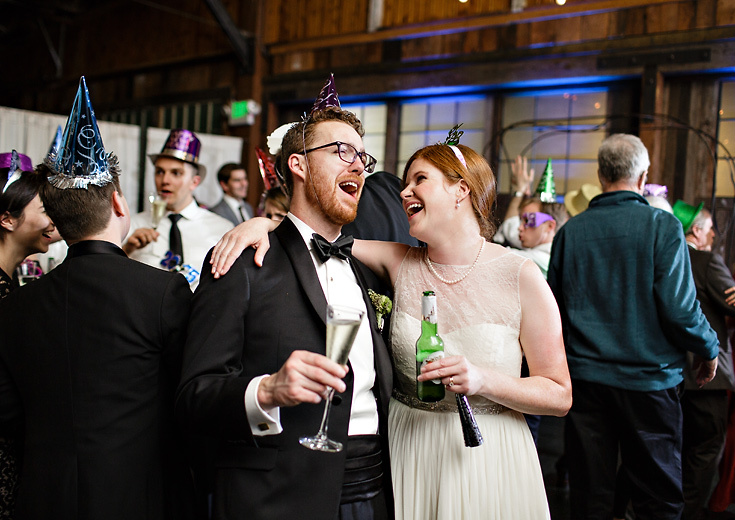 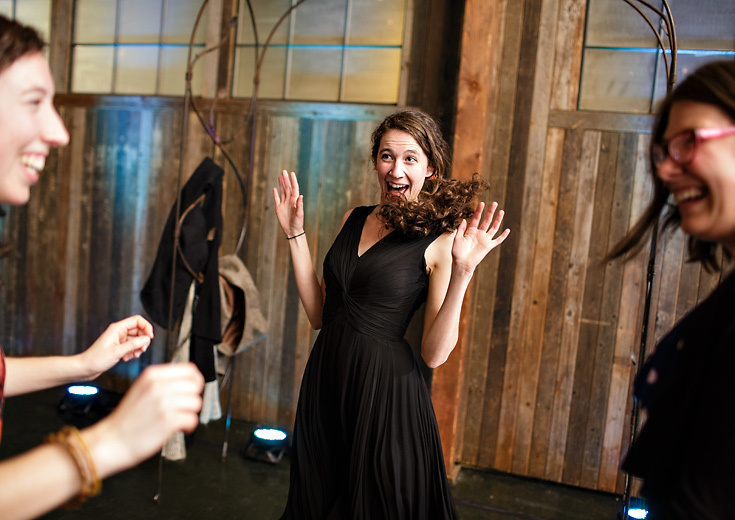 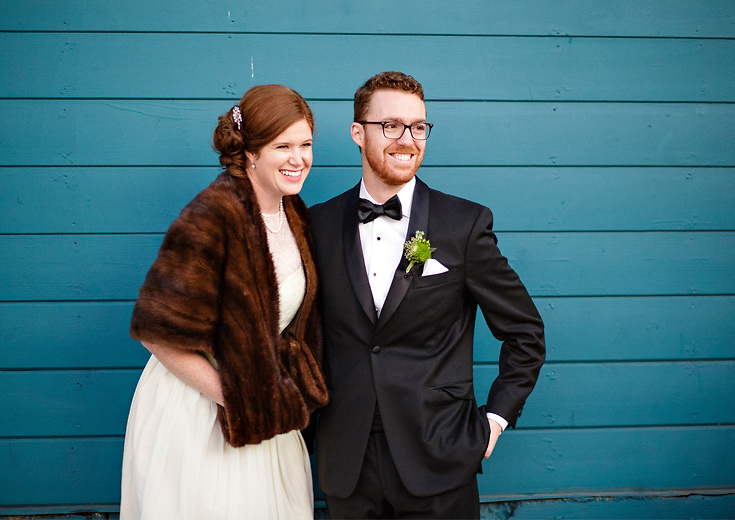 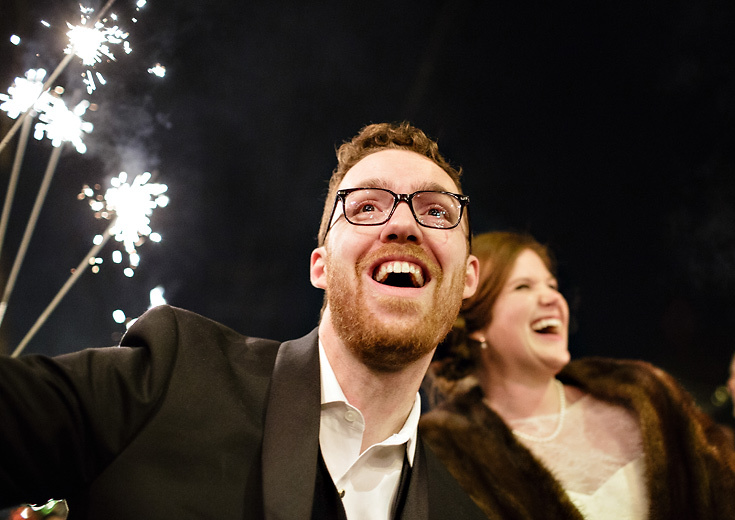 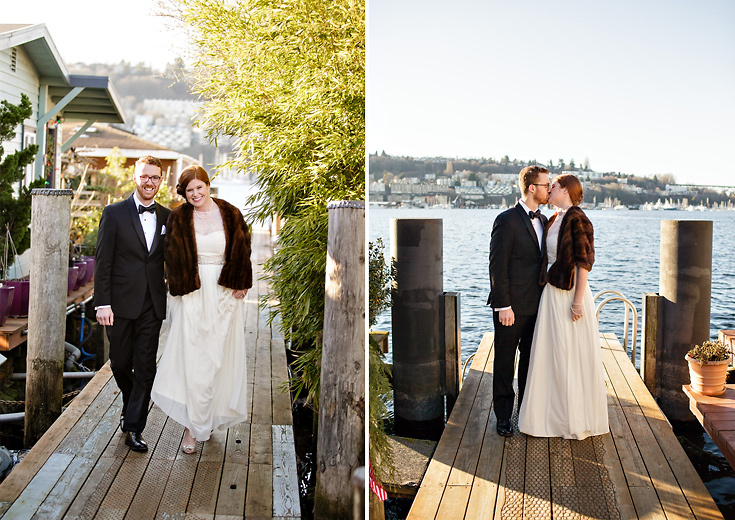 Lelia and Calvin got engaged in New York, and married in Seattle on New Year’s Eve, and I had so much fun getting to know them and chatting about living in both cities! 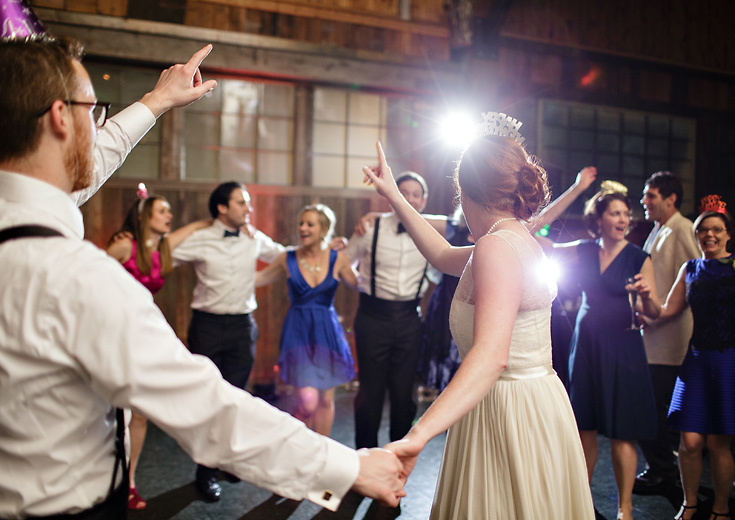 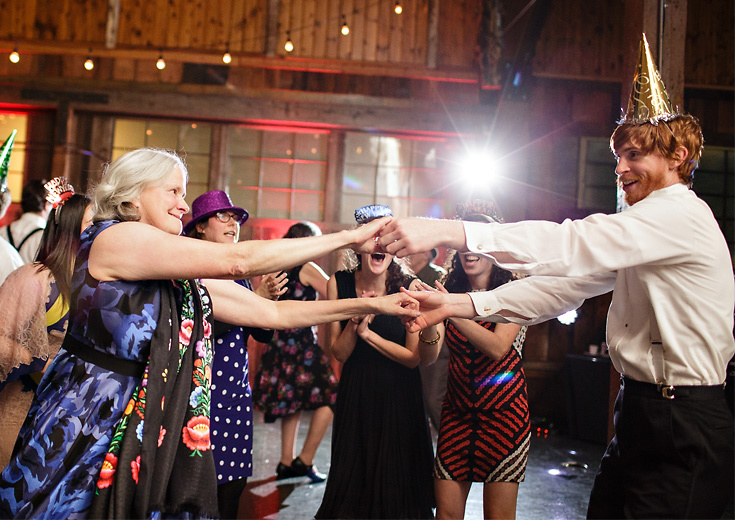 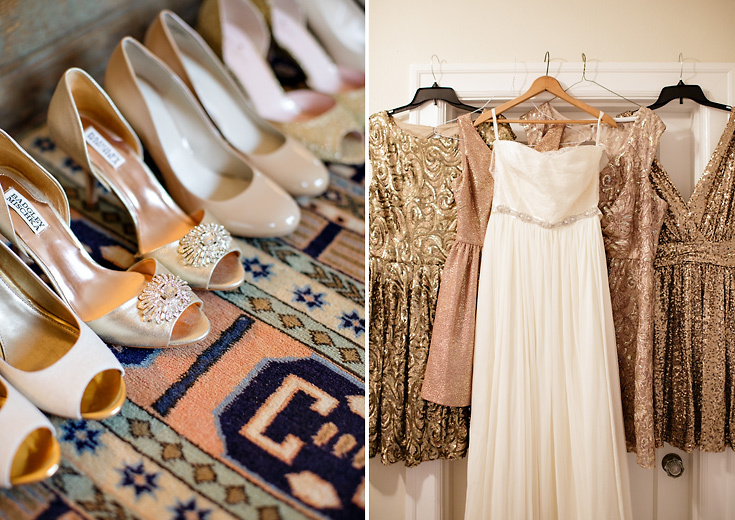 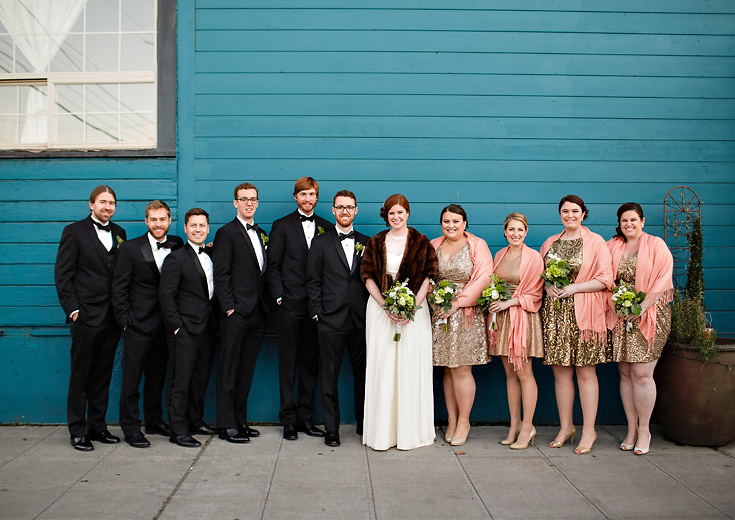 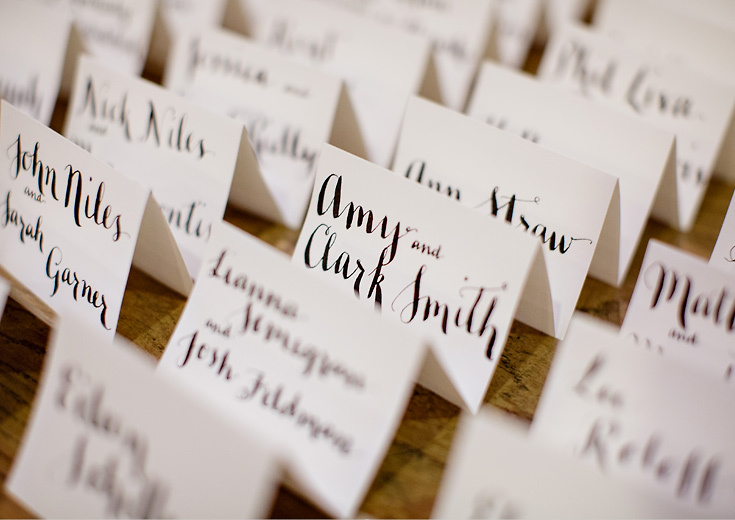 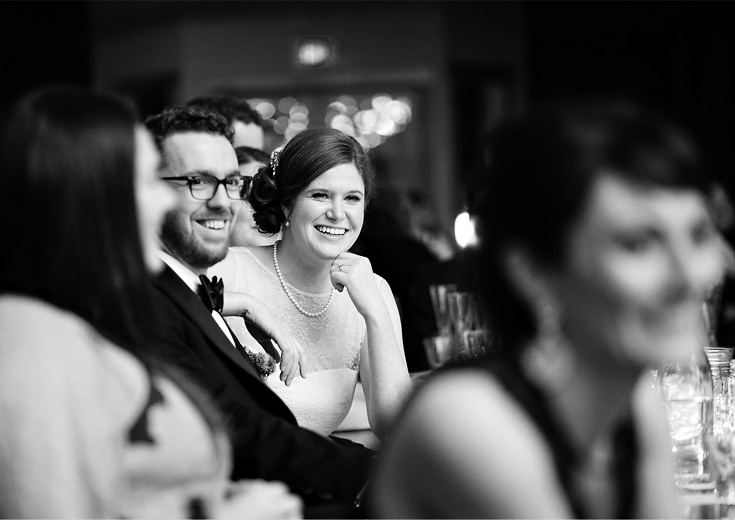 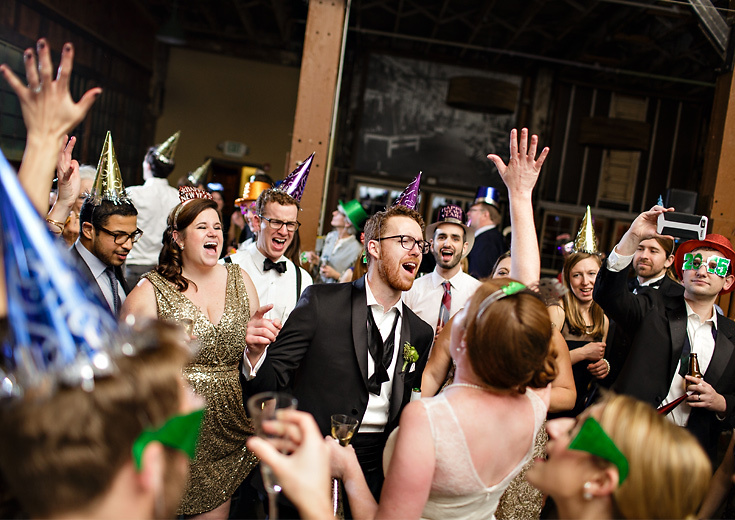 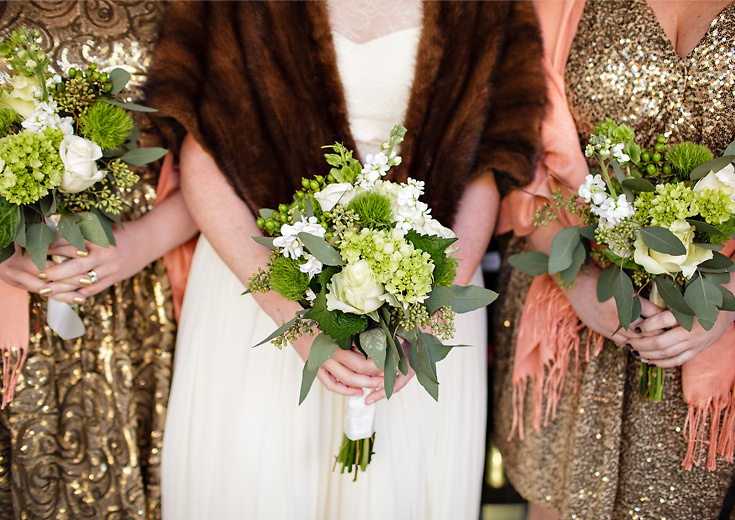 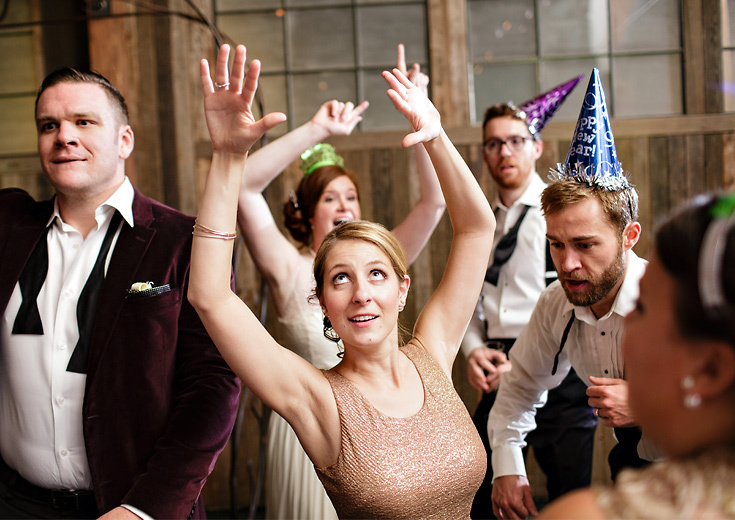 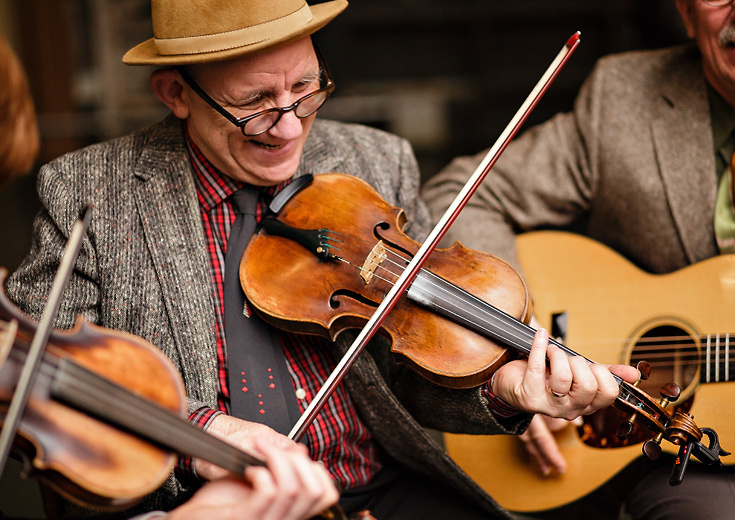 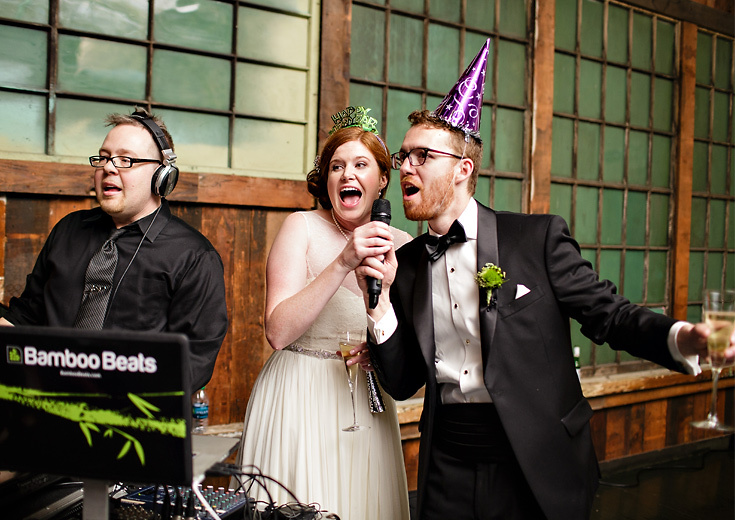 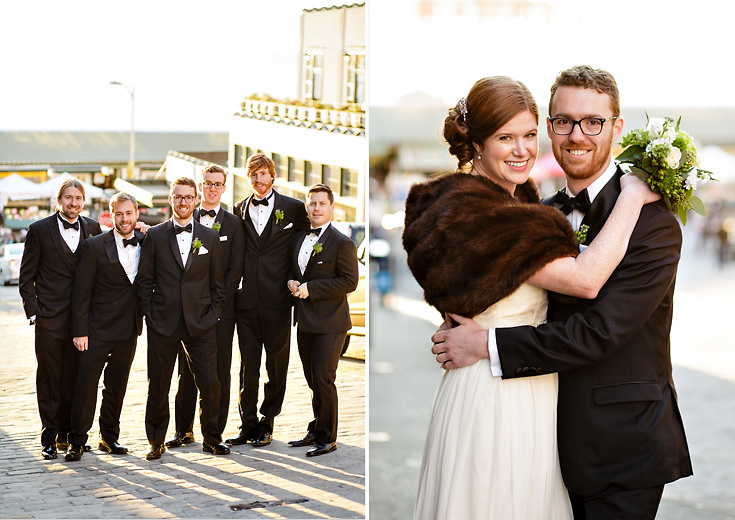 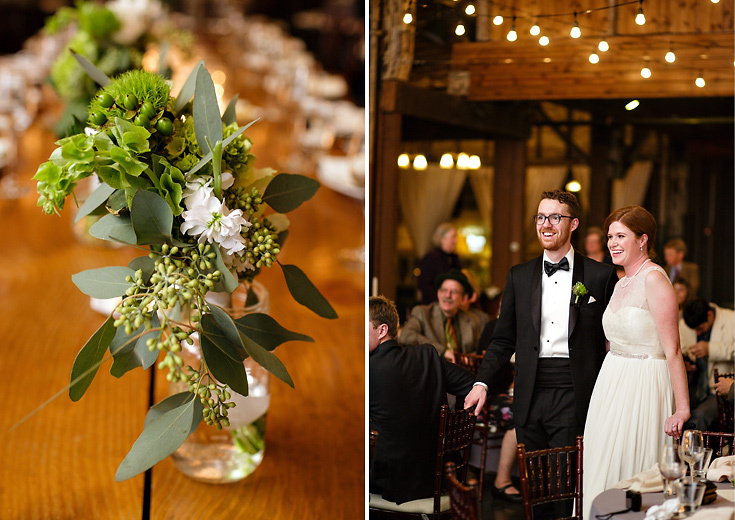 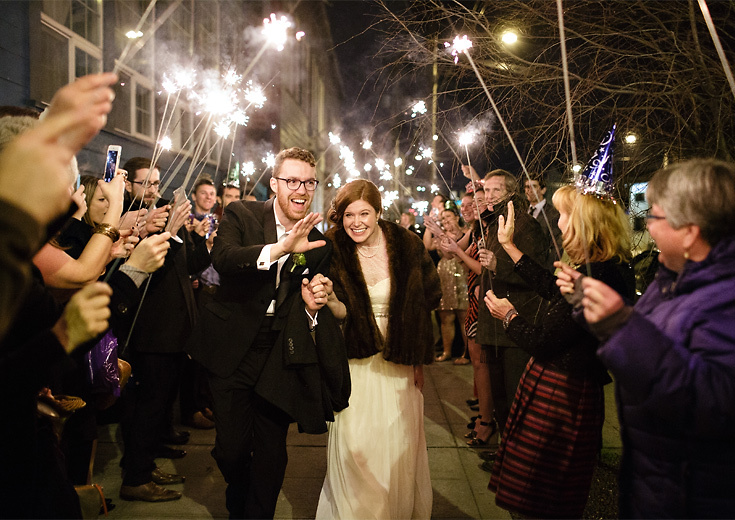 Their wedding was a phenomenal party – truly a New Year’s Eve wedding that every guest was thrilled to be a part of. 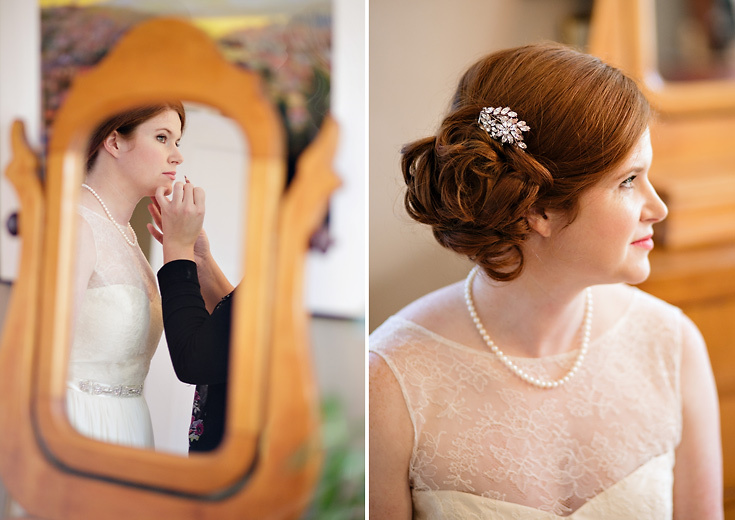 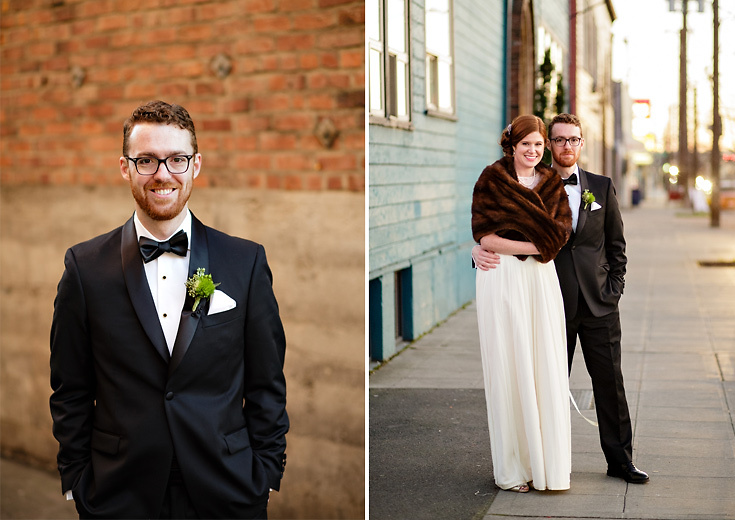 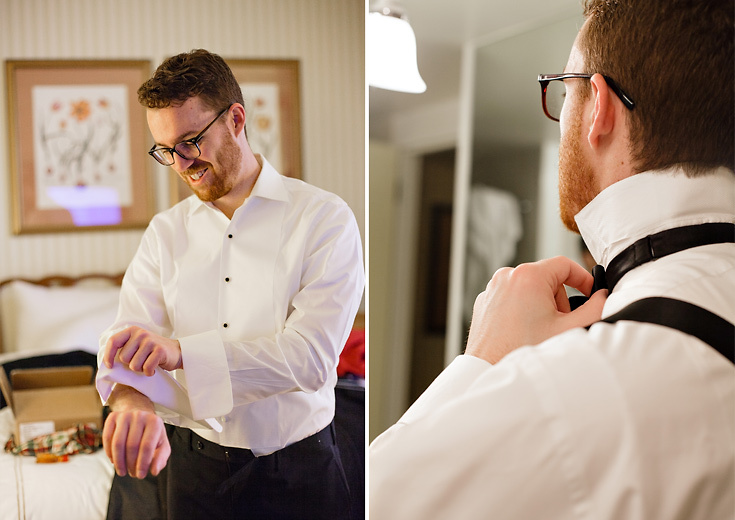 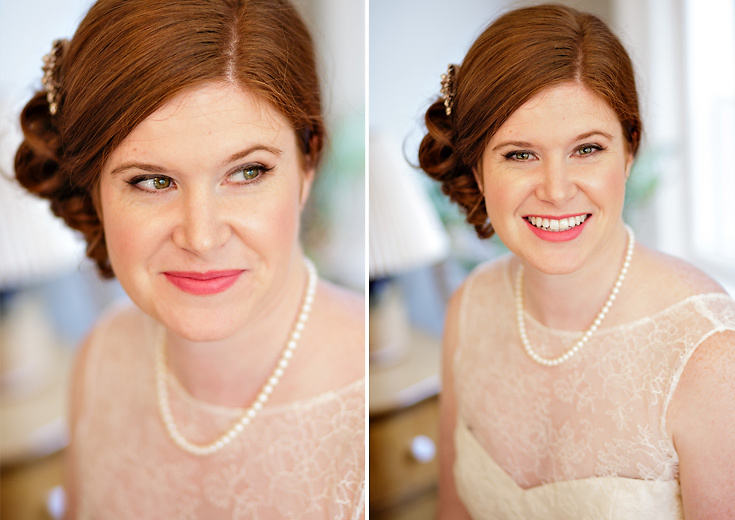 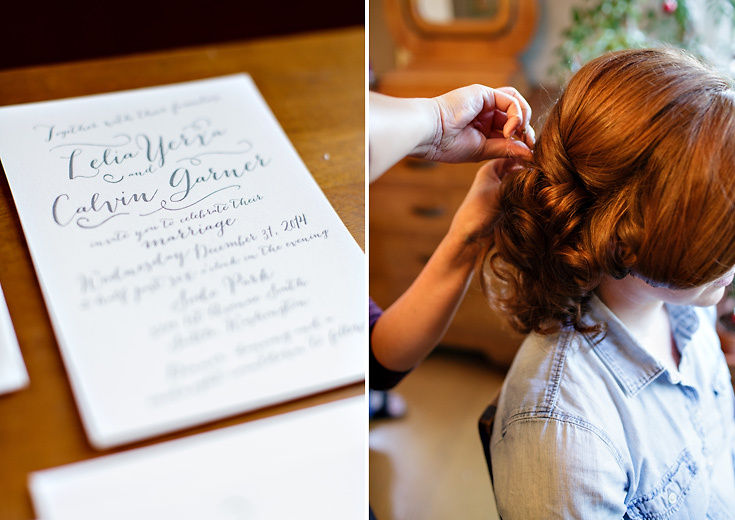 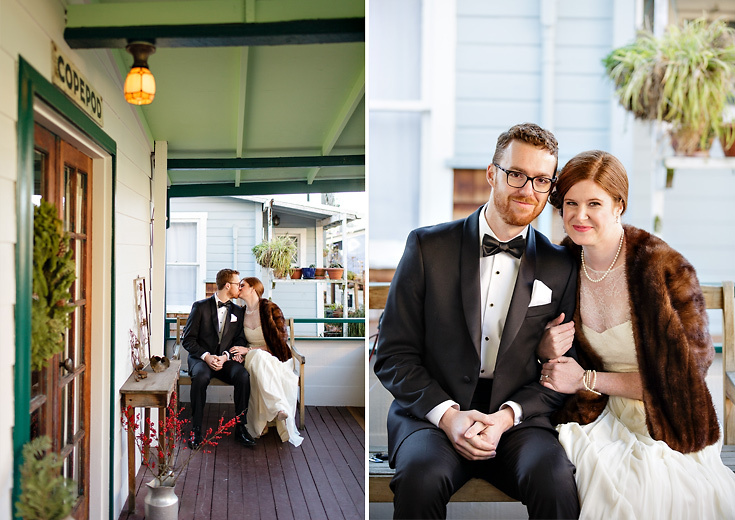 Calvin began the day getting ready downtown Seattle at the Fairmont Olympic Hotel, and Lelia dressed in her childhood home in Ballard. 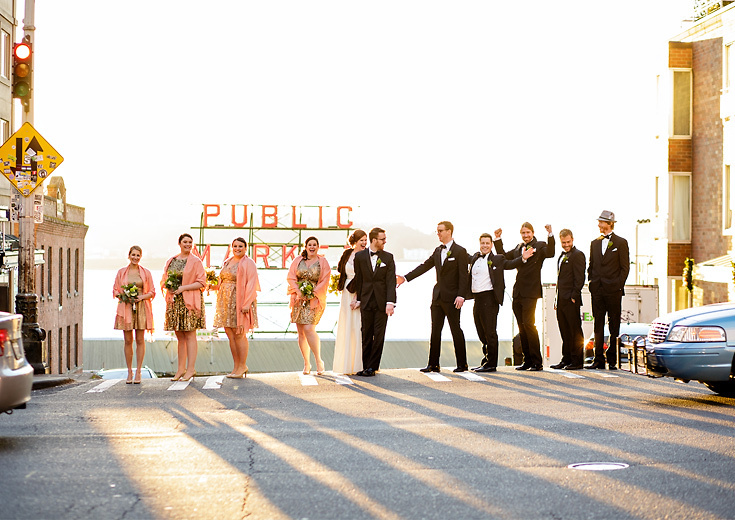 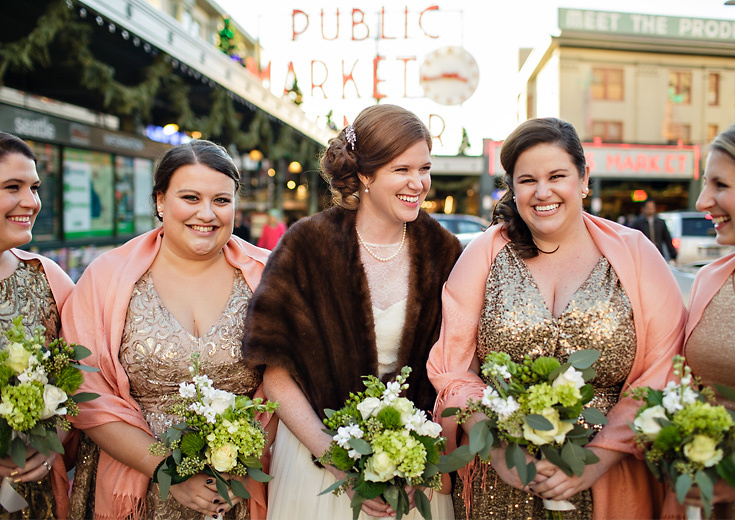 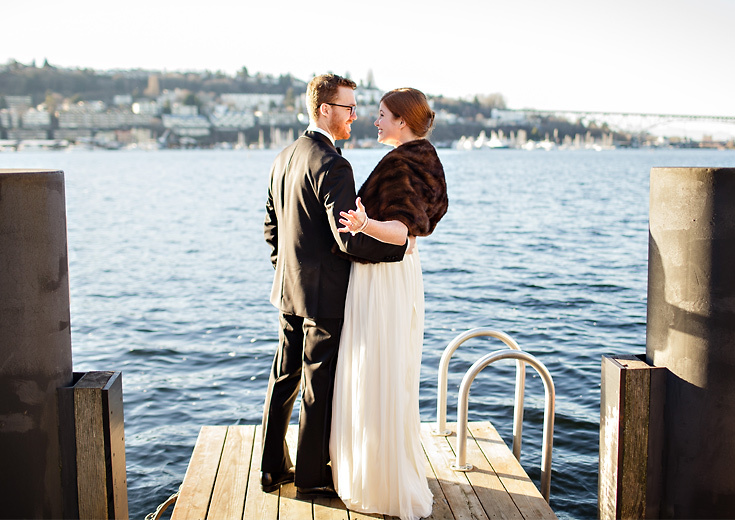 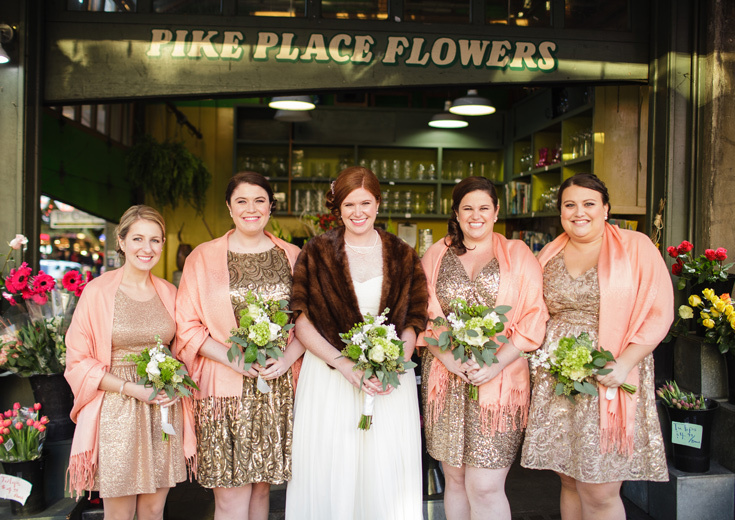 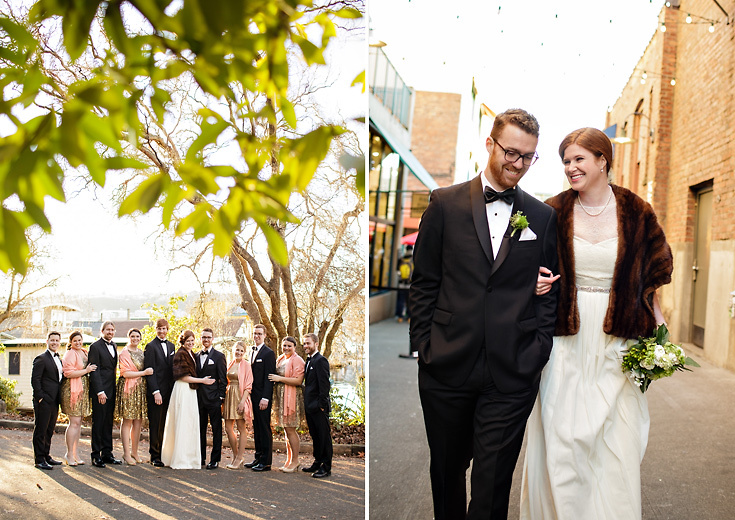 After a quick stop for their first look at the couple’s houseboat on Lake Union, we paused at Pike Place Market for some fun wedding photos with the bridal party, then headed over to Sodo Park where the ceremony and reception took place. 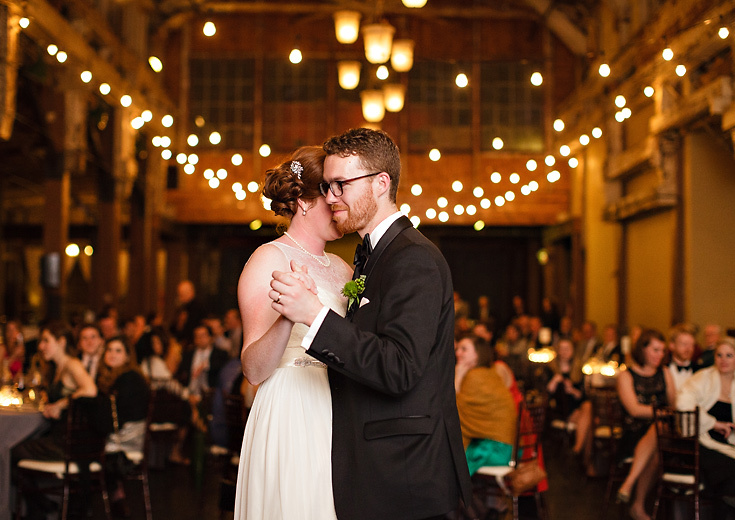 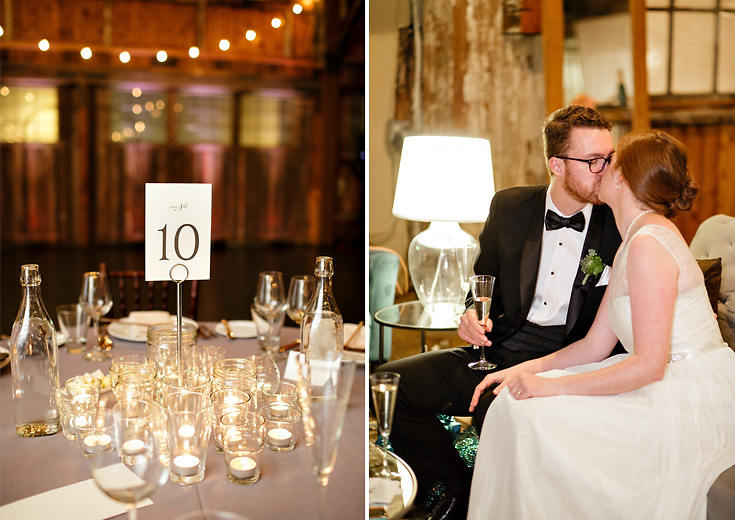 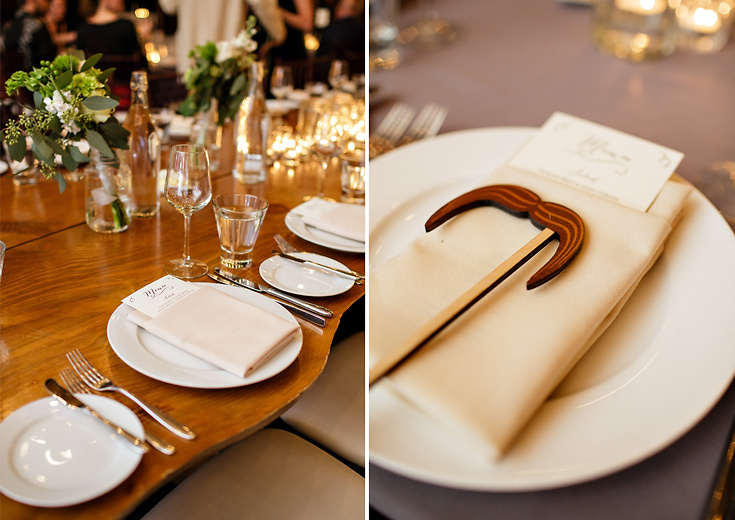 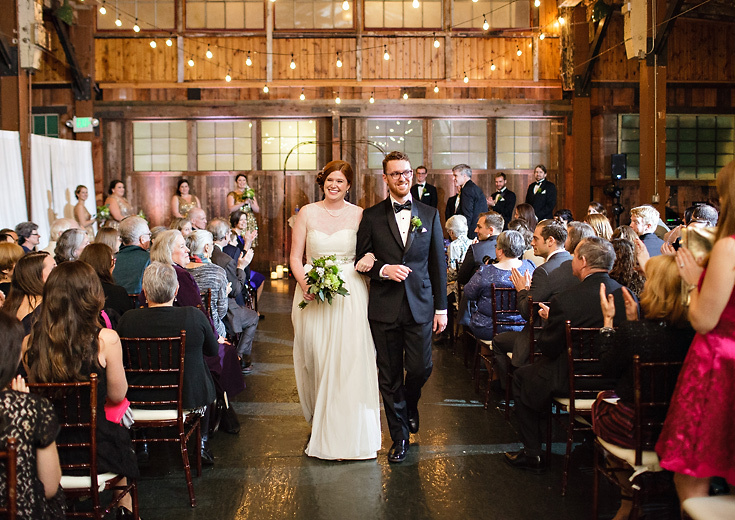 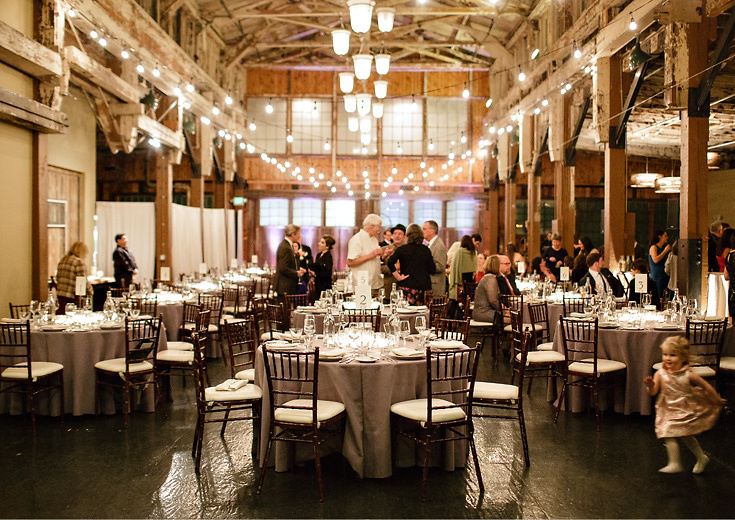 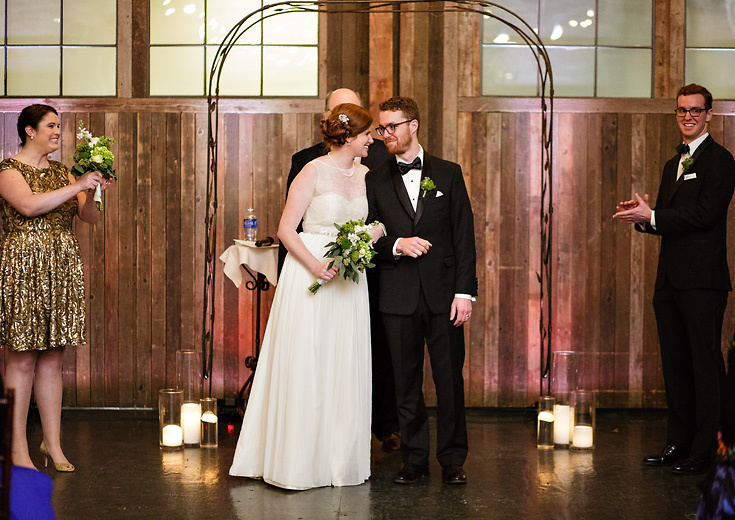 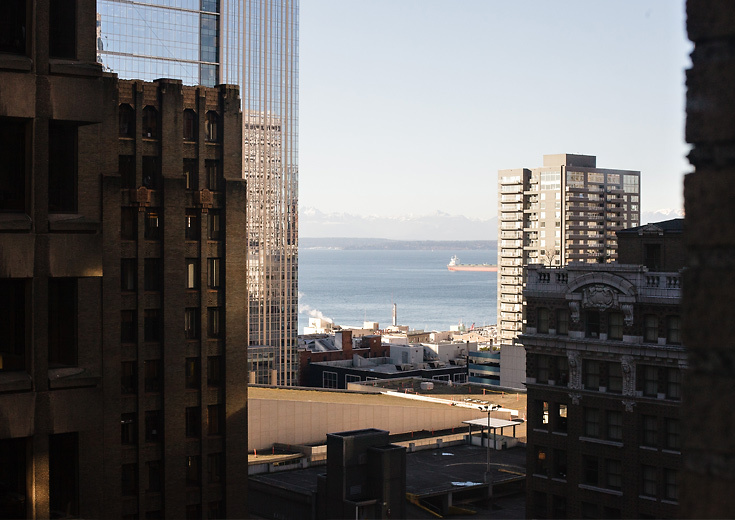 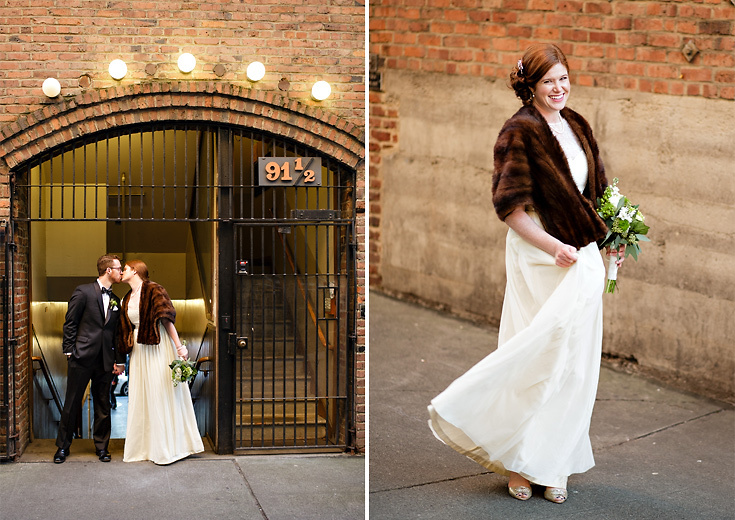 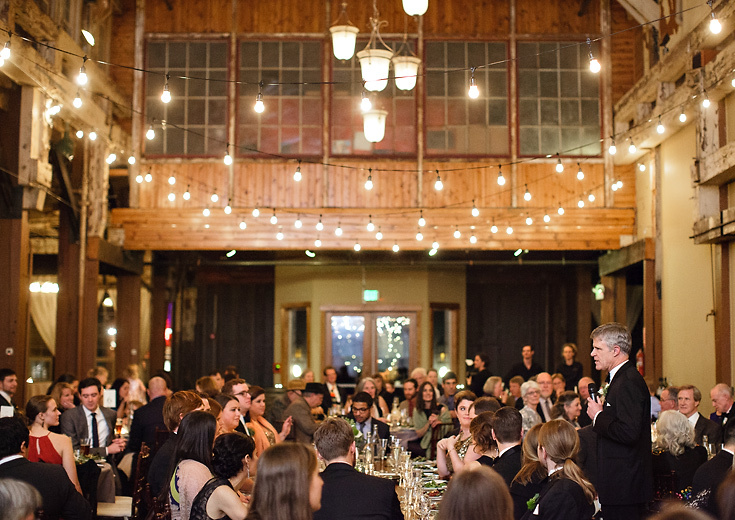 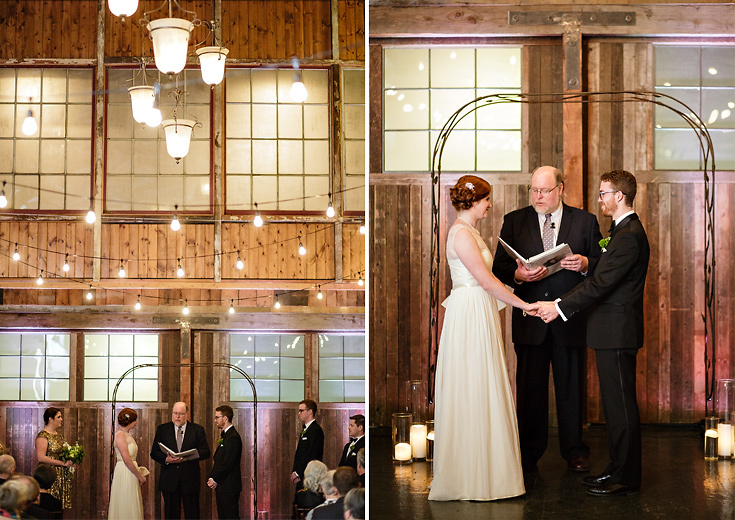 I adore this venue, and think it is one of the most picture-perfect for Seattle weddings!